Makeup and beauty !!! : The Goodies I won From Purple moments ! The Goodies I won From Purple moments ! 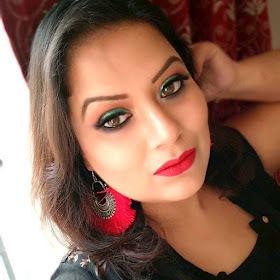 Today i thought to post my much awaited post ...it is about a giveaway i won from my true friend and a hard working blogger Smita aka "my smi" from "Purple Moments". But whatever she send me in replacement that are AWESOME !!! I just loved this clutch bag .....totally awesome ! Love the glosses And the pouches very good for trying out first . A lovely note with a heart goodie !